Transactional emails are not something that we think a lot about. You know, the emails you get after registering on a website, resetting your password, or when someone likes a post. You get these emails, and your done with them. For developers and websites, the only time you ever think about these emails is during their initial implementation. LeaderSend, a Latvian company that launched in 2013, thinks that there is a ton of unused information that can be gathered about these emails. The LeaderSend Team was kind enough to tell us about their product, and how they are approaching these transactional emails. LeaderSend is a cloud-based service for transactional emailing. A transactional email is a one-to-one type of email sent to a person based on his or her behavior. LeaderSend is focused mainly on developers, but also has some great features for marketers, in order to provide range of different clients with a professional tool for sending and delivering triggered emails. Why did you decide to build LeaderSend? LeaderSend transactional email solution helps companies build instant communication and strong relationships with their audiences. Almost all online businesses send system-generated emails after registration, password reminders, purchase confirmations etc. But not all of them are aware of user engagement with these emails. They don’t know if users actually open and read them and if these emails get delivered at all. LeaderSend offers a robust infrastructure that allows not only to create and send transactional emails but also to track these messages, receive in-depth reports and make sure they get delivered and read. Real-time reports on transactional emails allow analyzing performance to speed up your business: purchases, registrations, confirmations or any other activities you want your audience to do. As well, LeaderSend builds loyalty to a brand that truly cares about each customer and provides the best and fastest personalized communication that is possible. The LeaderSend founders entered the transactional email market with a new generation solution. Until now, system-generated emails were often sent as plain text messages with poor general information that was created by IT persons instead of marketers. But today’s marketing requires more sophisticated solution: fully personalized email text with all the necessary merge tags that is placed in a beautiful and professionally built HTML email template and that is supplemented with additional engaging marketing information. Being aware of increasing needs, the LeaderSend founders decided to create a customer-oriented solution for transactional emailing. 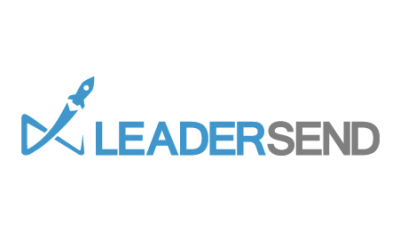 LeaderSend is founded and managed by email marketing experts Janis Rose and Arturs Bernovskis. The main developers are Juris Urtans and Gints Trubins, IT professionals with over 15 years of experience. LeaderSend is a European-based company that is now rapidly conquering its place in European and U.S. markets. The LeaderSend team continues to develop the platform with new features and integrations to get out more value for businesses with transactional emailing.